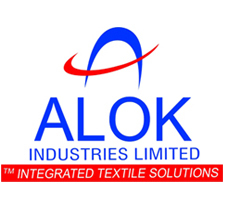 Technical analyst Prasad Kushe has maintained 'hold' rating on Alok Industries Limited with a stop loss of Rs 21. The analyst said that the investors can exit on rally to around Rs 27-29. The stock of the company, on December 13, closed at Rs 25.20 on the Bombay Stock Exchange (BSE). Current EPS & P/E ratio stood at 3.55 and 7.08 respectively. Top textile player, Alok Industries Ltd has straightened up Rs 800 crore capital expenditure plan for the coming two years period. Sunil Khandelwal, Alok Industries CFO stated, "We have invested Rs 7,000 crore in the last six year's period in our expansion programme. In the next two year's period, we will further invest around Rs 400-450 crore per annum for our on-going expansion plans." Alok Industries will fund the said capital via internal accruements and debt, Khandelwal said. The company has already made a rights issue worth Rs 449.59 crore in 2009 and a QIP of Rs 425 crore during March this year. Alok Industries also looks for funds via administration's TUFF plan that is likely to renew at this time. During FY10, Alok Industries incurred a capex of Rs 1,522.90 crore across a range of divisions.